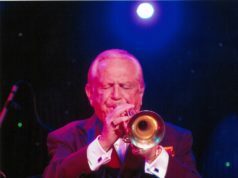 As the audience laughed softly at the story just told onstage by con­ductor Fred Radke, Radke turned from the micro­phone to the Harry James Orchestra and counted off, “One, two, a one, two, three,” and the sounds of trumpet, trombone, and sax­o­phone filled the Searle Center. Off to the side of the stage, couples and stu­dents rocked and spun in various American swing dances to the tunes of Harry James’ classic big band and jazz. 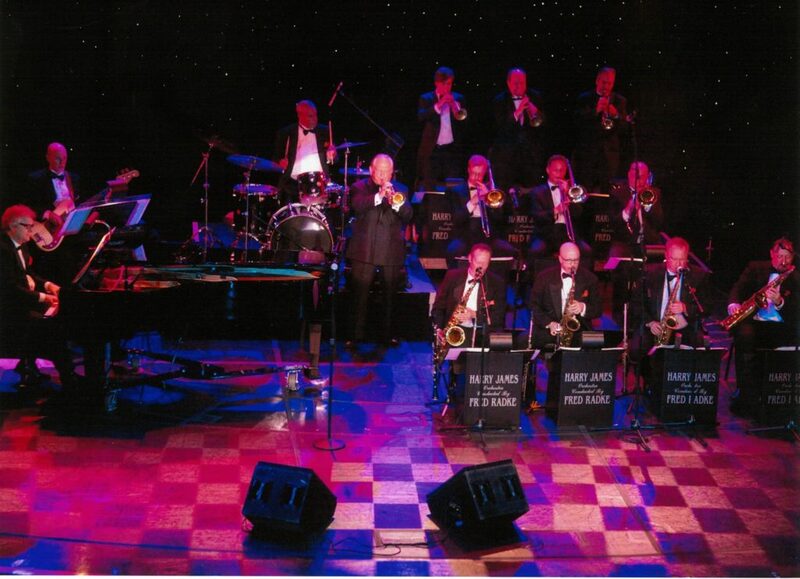 The Harry James Orchestra per­formed at the Hillsdale College Searle Center this past Sat­urday from 7 p.m. to 10 p.m. Among the selec­tions they played were “Ciribiribin,” “You Made Me Love You,” and “I Don’t Want to Walk Without You” by Harry James as well as “Take the A Train” by Billy Strayhorn. Harry James was a trumpet player who led a big band in the first half of the 1940s, recording hits with Frank Sinatra and Benny Goodman and launching the careers of other younger singers after­wards. He was so well-known for his trumpet-playing that in the 1940 Metronome poll, he was voted “best hot trum­peter” and “best all-around trum­peter.” Now, Radke carries on his legacy as a con­ductor and trum­peter in the Harry James Orchestra. The concert at the Searle Center brought in friends of the college, guests in the town of Hillsdale, pro­fessors, and stu­dents. In the first hour, two student jazz combos – Rob Roy and Primary Colors – per­formed classic jazz songs before the orchestra came on. West has been drumming since he was nine years old and began drumming for Rob Roy this past year. He said the group pulled together really well. The college served finger foods such as cran­berry bruschetta and cheese and crackers, and a mini bar was also set up outside of the concert area. Guests were able to eat and talk amongst them­selves as the band played. Hess said the set-up brought back an atmos­phere of big band per­for­mances decades ago. To the side, there was a space for dance during the concert. Stu­dents, pro­fessors, guests, and couples alike were able to dance swing as the bands played. 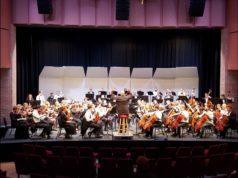 Hess, who favors clas­sical music, said although she has never been an avid jazz lis­tener, she thought the music and the concert were well-done. 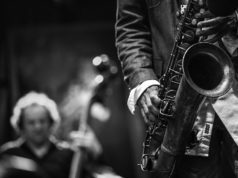 “Jazz is a little harder to listen to because there’s not a con­sistent melody, it’s hard to predict where it’s going, and I think some modern jazz is espe­cially tough to listen to if you don’t know what you’re doing,” Hess said. She added that the Harry James Orchestra helped her have a better appre­ci­ation for the style. “This was the best way for me to start to under­stand and appre­ciate what was going on because I could see them up there, and they were working hard or breathless or reacting to the music or showing off, and though now I’m still not an avid jazz lis­tener, I like to see it when it is done in a concert like this,” she said.